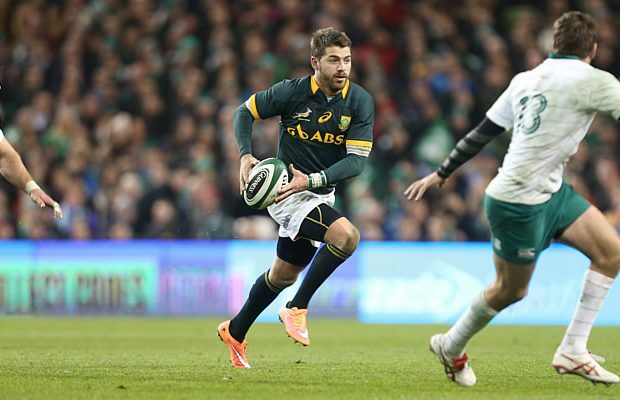 Aviva Premiership Rugby club have signed Springboks and Sharks fullback Willie Le Roux for the 2016/17 rugby season. Le Roux will join Wasps in England after he has completed his commitments with Japanese side Canon Eagles. The 26-year-old fullback has won 37 caps for South Africa and was a World Player of the Year nominee in 2014, having also been voted SARPA Players’ Player of the Year in 2013. Le Roux has built a reputation as one of the world’s most exciting full backs. Acting as a world-class general at the back, possessing the ability to expertly guide his team around the field and launch devastating attacks from deep. His versatility enables him to play at fullback and wing, although earlier in his career he played mostly as a fly-half. Le Roux was selected to represent the Springboks for the first time during the South African Quadrangular tournament of 2013 against Italy, Scotland and Samoa. He also played an integral part in South Africa’s 2013 Rugby Championship campaign, featuring in all six matches. He scored tries in both home and away tests against Australia and in the deciding game at home against New Zealand. 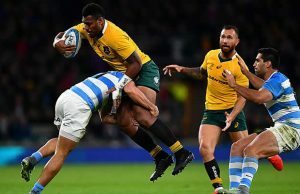 Wasps’ Director of Rugby Dai Young said: “When we were looking to replace Charles Piutau, who is up there in the world’s top two or three international full backs, Willie was certainly in that level of international company. 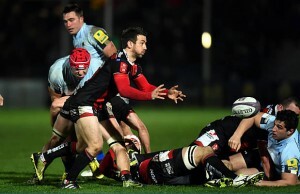 He’s shown on a regular basis that he has the ability to be one of the best full backs in world rugby. “His attacking ability will fit perfectly into the way we want to play. He’s really safe under the high ball and also has a good kicking game, so he is a really exciting player to have in anyone’s team. That’s what we’re about. We now have fantastic facilities and the best way to fill those facilities is to play entertaining rugby and to have some of the best players in the world in your team. Willie falls into that category. “We are fortunate to have Rob Miller, who has shown his ability at full back on a regular basis, and is in the same attacking mould. Between Rob and Willie, we feel we can more than hold our own against any team in the full back category. Willie and Rob are also comfortable on the wing and Rob can also cover 10, so we’ve got that versatility where we can move people about. Looking ahead to next season at the Ricoh Arena, Le Roux said: “I’m really excited about the move to Wasps and I’m really looking forward to playing in the Aviva Premiership. The Super Rugby competition is a great one to play in but I’ve reached a point in my career where I want to experience new environments and I can’t wait for the new challenge, where I’ll be playing with and against some familiar faces. “The recent World Cup in England really hit home just how passionate the fans there are about rugby and in weighing up the move, the recent successes Wasps have experienced, the way they play the game and the facilities they have at the Ricoh Arena were big factors in my decision.